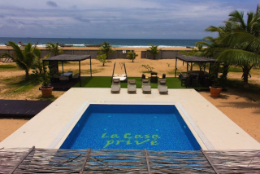 Private Beach Resorts in Lagos – Want an avenue to escape from the hustle and bustle of Lagos City, then you need to check out the private beaches in Lagos. 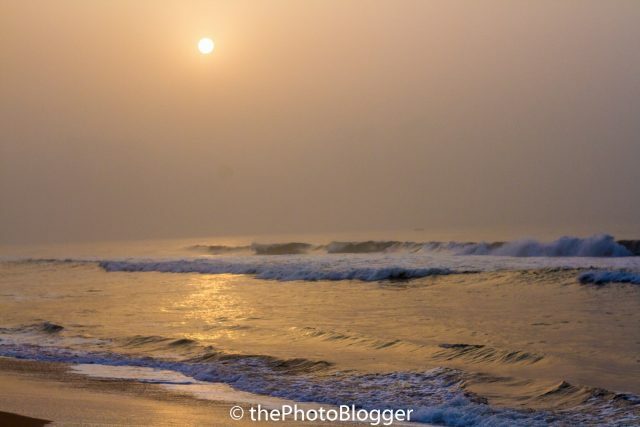 The private beaches in Lagos offers one of the best places to relax anytime, any day. Taking a trip to a private beach resort is really worth it, not only to relax but to also recreate and energize. You know what the problem with a lot of Lagosians are? They do not know private beach around you. 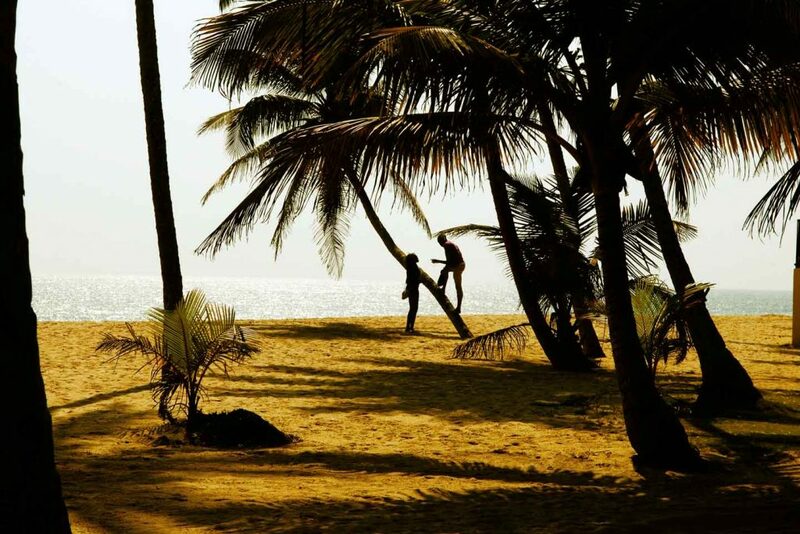 In Lagos, there are quite the number of private beach resorts you can chill at. There are no shortage of them at all. Beach resorts in Lagos usually have lots of fun and interesting relaxation facilities like Gyms, Pool to mention a few. They also are one of the best ways to impress your partner by surprising them by taking them to a cute romantic getaway. Who would love to make an impression. Not me, obviously! Lagos is a beautiful, commercial mega-city in south western Nigeria. 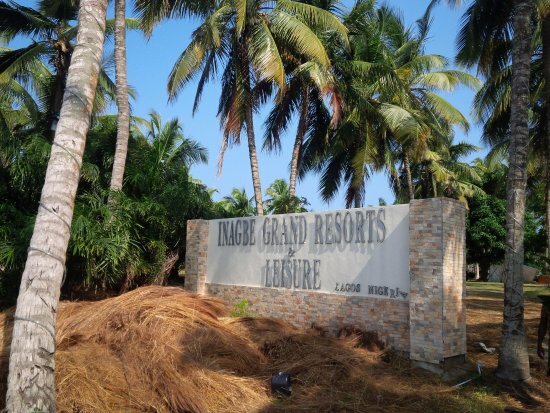 Private beach resorts in Lagos are some of the best and refreshing places you can go to escape the daily struggle and noisy environment that is typical of Lagos. There are many resorts in Lagos where you can go for your romantic getaways, holidays, and more, whichever you want. Although a couple of the private beaches could be on the high side in terms of cost, but the value you get is definitely worth the cost. The offer of luxurious services that will delight and blow you away. Beaches are perfect places anyone should go if they want a break from the work life and want something different. It is also really cool to take with you a friend or two or more, in order to have the fullest of fun. Also, beaches have this peculiarity that people can’t really point at as the magical thing that makes them love beaches. Could it be the sand, or how vast the sea looks, or the crashing waves, or the rawness of nature available at the beach? Everything about beaches ate just so cool! Beaches are dope, perfect, and beautiful!! God really did an amazing job crafting and creating thus wonder of nature. It is indeed exquisite! Making a resort out of a beach was first started in the 19th century in the western part of the world. Since then, visiting the beach has always been something special and a top tourist spot for travel and fun enthusiasts, plus there are always loads of fun things to try out at the beach like horse riding, beach ball sports, snookers, and so on. Simply put it as, a beach has the best recreational quality and value so far. It beats other vacation concepts hands down! Any day, anytime! Also, at beaches, there are usually fantastic foods to eat! From Suya, to tasty and yummy small chops to drinks like Zobo, Kunu, Chapman, Wine stand, and so on! Just name it, it will be available at the beach. I guess traders of these yummy foods have realized that the population at the beach especially on weekends, is nothing compared to even selling at a garage. Also, people come to the beach to spend money that is, to have fun! The food at the beach is amazing, and also the weather is most usually on point – therapeutic. You and your best friend, you and your spouse can visit the beach at anytime. Resorts are better packaged though. Below are ten really amazing private beach resorts in Lagos, where you can spend your weekend, romantic getaway or holiday with you alone or with a friend or friends or with your lover! This very large 65-acre beach resort is situated along Lekki-Epe Expressway, which is about an hour’s ride from Victoria Island, Lagos. It is well renowned as one of the best resorts in the whole of Lagos for an exclusive romantic outing. This amazing beach resort includes a fresh water lake, the mangrove forest, Savannah and fine sandy beach. You and your partner can engage in activities like hiking, swimming, hunting, fishing, canoeing, horse riding, snorkeling, beach football beach volleyball and so much more! La Campagne Tropicana is a very hospitable beach resort with very high taste luxurious facilities that will wow you. This beach resort apart from its amazing facilities has beautiful accommodations to top it all up! The resort’s restaurant serves international delicacies with an exceptional Nigerian flair. This resort is one of the best. Try them out! This beautiful resort is situated at Ikegun, Ibeju-Lekki Local Govt. Area off Lekki / Epe Expressway, Lagos, Nigeria. This beach resort is a total haven of handsomely refined elegance and luxury. 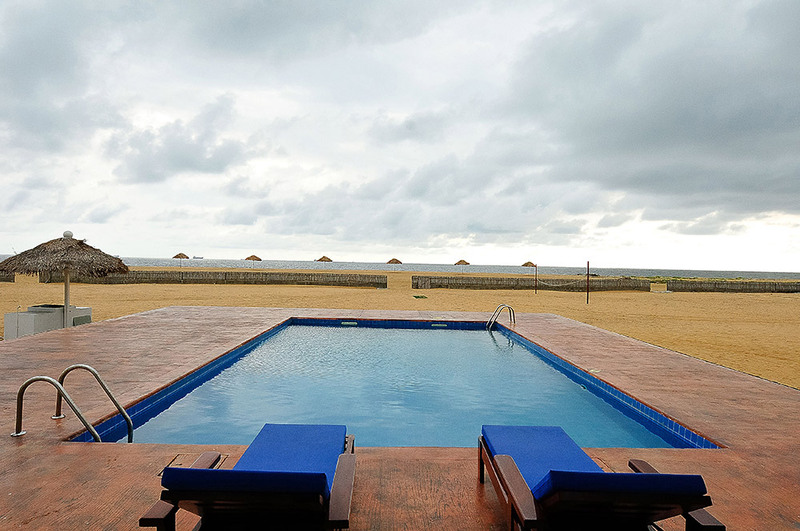 The resort is situated on the serene banks of the famous Lagos lagoon and the Atlantic Ocean. The Inagbe Island which is where the resort is located, is about fifteen minutes from Victoria Island in Lagos by a refreshing boat ride. The resort is amazing in its nature’s view. You get to experience nature in its full fledged valour at this resort. The customer service here is very excellent and the atmosphere is beautiful, serene and peaceful. The resort has different varieties of rooms ranging from one class to another. Depending on your budget, you get to choose which kinds of rooms you want. The rooms are indeed a sight everyone must behold. The resort has a restaurant that serves purely international and intercontinental dishes! Same goes for their drinks as well. There are also so many different fun rides you can enjoy at the resort. Even for children.. There are also lots of fun and sporting activities to engage in. This beach promises to be a memorable and fun filled experience. 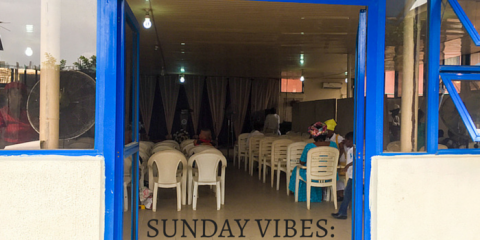 Inagbe Grand Resorts is located at 13, Abimbola Okunlaja Close, off Oladimeji Alao, Lekki Phase 1, Lagos. 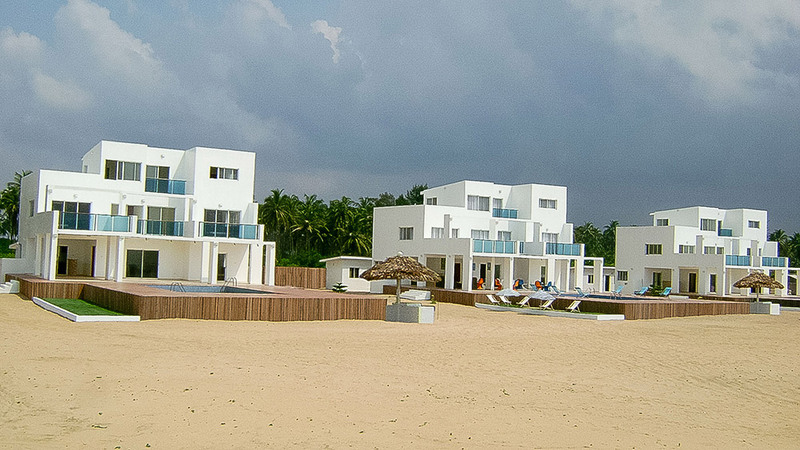 If your idea of a quick vacation includes stunning beach scenery and luxurious accommodation in a quiet and private environment, then your go-to is La Manga Luxury Beach Villas in Ilashe Island, Lagos, Nigeria with its spectacular and mouth gaping view of the ocean. La Manga Luxury Beach Villas is located along the Atlantic ocean and it is located along the island of Ilashe in Lagos. You will absolutely love this place. La Manga beach villas is blessed with all amenities you could ever need. You will also be opportune to listen to the cool breeze of the sea. This private beach resort has lots of relaxation facilities to fully help you relax. It is also loaded with lots of recreational facilities to add to the amount of loads of fun you will have before leaving the beach resort. The resort is packaged in such a way to ensure that you get the best of vacation and fun. They are dedicated to fully entertaining you with the wide variety of fun packages they have in stock for you. They also have a large space area for your corporate events like wedding ceremonies and so on. Their goal at La Manga is to pamper and lavish their guests with second-to-none of relaxation and exceptional service! Located in Ilashe, An Oasis along Badagry Creek soaked in all affirmation of tranquility, La Casa is just 20 minutes speed boat out from Ikoyi or Victoria Island or 10 minutes from Apapa. This private beach resort has lots of relaxation facilities to fully help you relax. It is also loaded with lots of recreational facilities to add to the amount of loads of fun you will have before leaving the beach resort. The resort is packaged in such a way to ensure that you get the best of vacation and fun. They are dedicated to fully entertaining you with the wide variety of fun packages they have in stock for you. Whispering Palms Resort gradually built itself from a normal resort situated in an old sleepy town to one of the best and most sought after get away destinations for love birds in the country and beyond. The amazing ambiance of the beautiful greenery of this amazing resort has shown it to be one of the most special locations in Lagos, and even in the whole of Nigeria. The offering of this top Private Beach resort in Lagos are beautiful and large rooms, hospitality that it topnotch and staff that are on your beck and call as you enter into the resort environment. 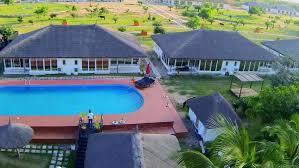 Whispering Palms Resort is situated at Iworo/Ajido Town, Badagry, Lagos, Just 20 minutes drive from the popular Slave Museum in Badagry and about 25 minutes drive from the French Village situated just as you are entering into the Badagry Town. Whispering Palm Resort is the ideally perfect choice for families on vacation and also for lovers. 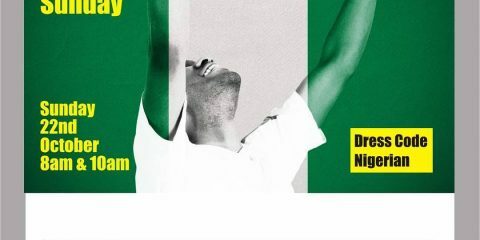 Do you want to go to Badagry anytime soon? I could be your tour guide because I’ve been in the town like twice now to do a lifestyle documentary of the Gberefun Village, a sleepy island in the sleepy town. 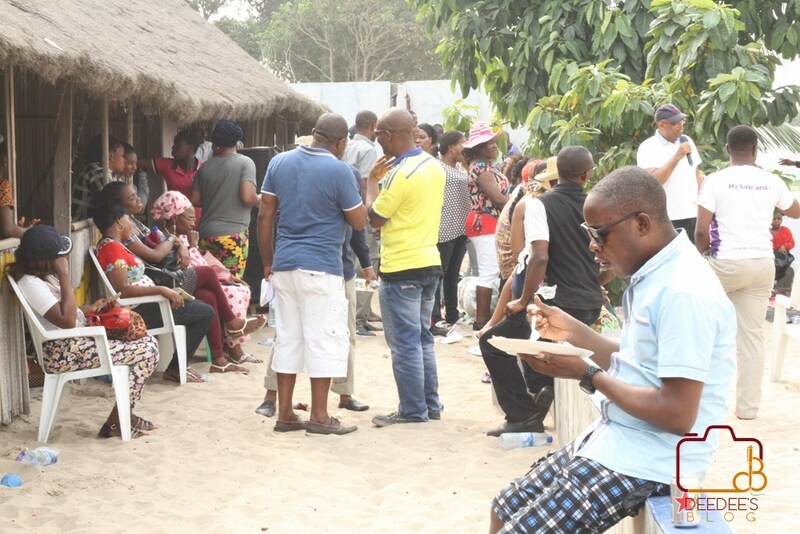 JayBee Beach Camp is just sitting pretty along the Atlantic Ocean on a popular bay on the coast of Lagos – Tarkwa Bay. 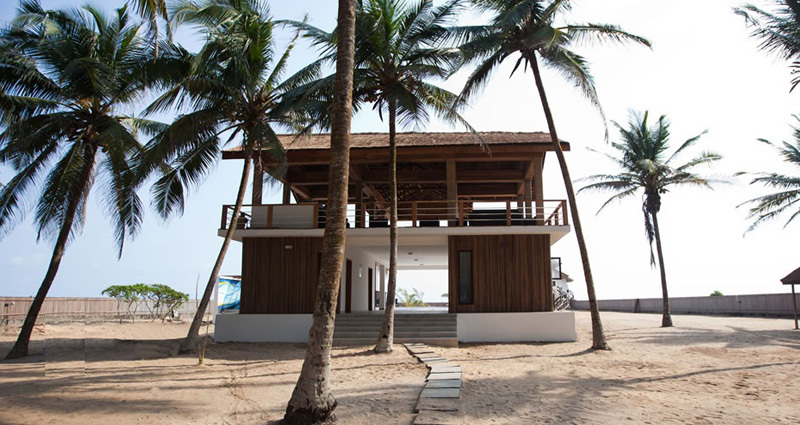 Protected by the beach and just a couple of minutes ride from Lagos Island, JayBee provides the most enticing wooden cabin to ever grace the Lagos State. Here you have access to private balconies, greenery and serenity that can only be gotten when you are close to the ocean. JayBee is such a perfect getaway for you and your lover. Don’t you think? This is another really cool destination, I tell you! You and your lover can go grand biking, jet skiing, zip lining, and so on! It’s a lake on Lagos Island. So much fun! There are also really cool facilities present here. This private beach resort us actually quite popular. And popular could mean really good, you know. You can try out Lekki Leisure lake for your perfect vacation. It promises to be fun. This beach is also called Akodo Beach, this exquisite beach resort is located at Kilometre 22, Lekki-Epe Expressway, Ibeju, Lekki, Akodo, Lagos. It is about 5 minutes from the renowned Lekki Free Trade Zone and the International Airport, Lekki. This private beach resort has lots of relaxation facilities to fully help you relax. It is also loaded with lots of recreational facilities to add to the amount of loads of fun you will have before leaving the beach resort. 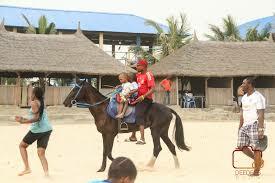 Thus beach resort is located at Ajah, Lekki in Lagos state. Their full address is at Abraham Adesanya Estate Road, at Eti-Osa in Lekki, Lagos Nigeria. Their gate fee ranges between 500 naira to 1000 naira. The Atican beach resorts has restaurants, pubs, lodges and so on. It basically houses everything you could need to relax. You could also visit on weekdays to avoid the crowd that could be really much on weekends. They also have a live band that plays on Fridays. 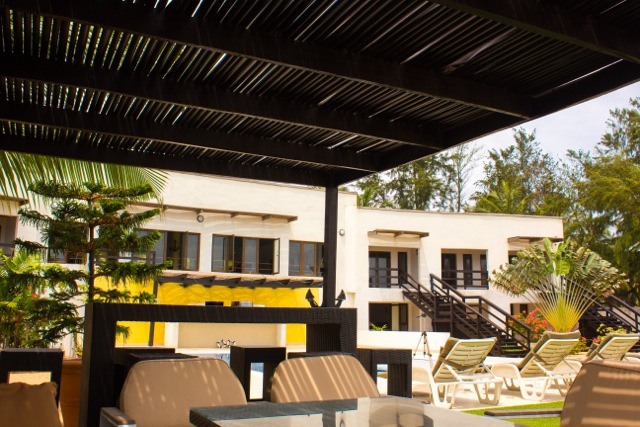 The Atican Beach Resort is a private beach resort that has lots of relaxation facilities to fully help you relax. Their services here are top notch. It is also loaded with lots of recreational facilities to add to the amount of loads of fun you will have before leaving the beach resort. The resort is packaged in such a way to ensure that you get the best of vacationing and fun. This beautiful private beach resort is located on a stretch of the Lagos coast, which is very close to Ikare Village in Badagry, Lagos. This place is a lovely relaxation spot and it can be accessed only by boat, but it has so many great facilities and services that will give you an enjoyable beach experience and wow you beyond your expectations! 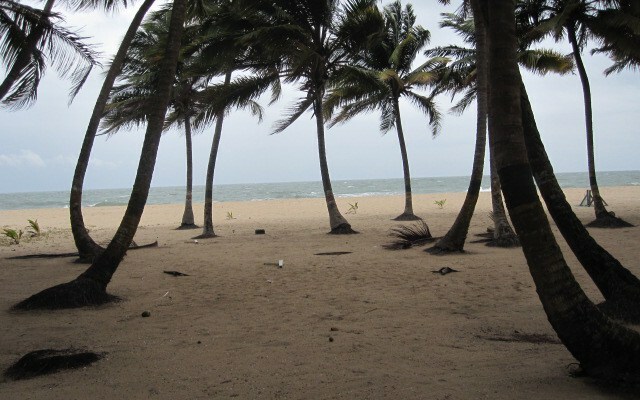 So, above are ten places in Lagos that are private beach resorts where you can relax and have fun! There are so many benefits to chilling out at a beach resort. Especially a private one. You don’t even have to have a reason before you can go. Just grab some cash, book an hotel and visit. It is fun. And this is what life is about, Enjoying yourself. 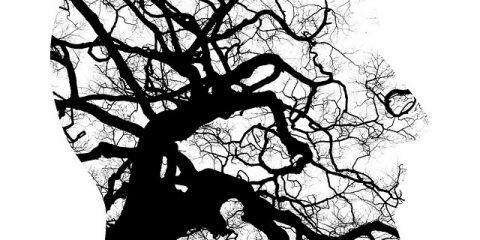 Relaxing… So, be sure to check out these places and have fun vacationing!